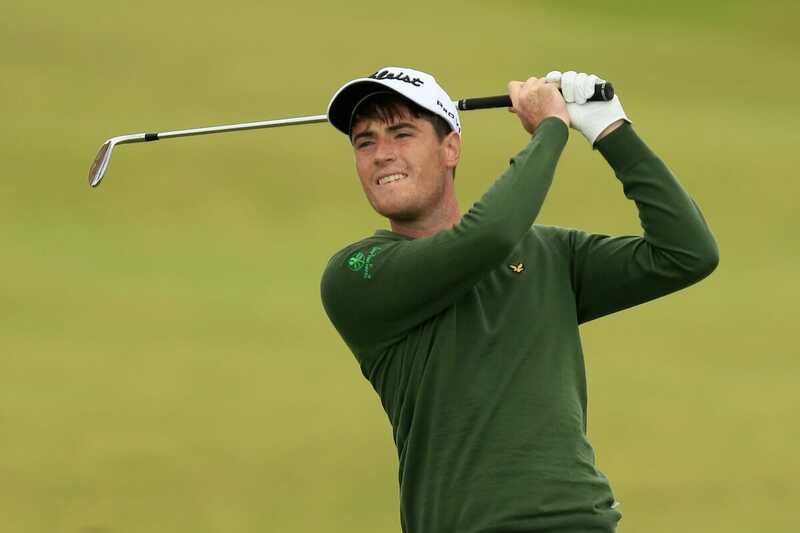 With just two events to go on the 2017 EuroPro tour schedule where the top five golfers receive Challenge Tour Cards for 2018 Team Irelands Dermot McElroy jumped up two spots to 6th place in the season long Race to Amendoeira. The finish leaves McElroy just shy of the top five that will claim 2018 Challenge Tour cards after his sixth place finish at the HotelPlanner.com PGA EuroPro Tour’s Jessie May World Snooker Championship at Collingtree Park Golf Club in Northampton. McElroy carded rounds of 69,67 and 70 to earn £1,400 and move to within £2,500 of the fifth spot in the order of merit. Jonathan Caldwell’s share of 13th in Northampton cemented him into fourth spot on the money list. Niall Kearney closed with a 72 to finish tied 19th and moved up to 10th in the money list while Irish PGA Champion Tim Rice Tim Rice closed with a three under par 69 to finish on 11 under par and a claimed fourth place cheque for £1800 finishing just four shots behind winner Alex Belt. The result jumped Rice up 24 places to 45th on the Race to Amendoeira but still over £12000 off a top 5 spot with only two events left. At the head of affairs, Alex Belt claimed his first EuroPro Tour win in Northampton. Belt (Snainton Golf Centre) (69, 67, 65) buckled down on the final day, which saw the lead change a number of times between five different golfers, to claim the coveted £10,000 prize and trophy. “I feel very thankful that I managed to get over the line. There was some great competition out there and even though I won by three shots, I could feel the other guys breathing down my neck”: said the 32-year old, who wins £10,000 as well as a brand new Motocaddy S3 PRO electric trolley with lithium battery, Bushnell Pro X2 Range Finder and Bolle sunglasses. It went down to the wire after James Frazer (Pennard Golf Club), who started the day as tournament leader, was a shot and hole behind on -14 as Belt tackled the 18th at Collingtree. Belt held it together and hit an excellent approach shot to within four-feet of the pin before putting for his sixth birdie of the day. The Yorkshire golfer’s final round was the joint lowest score of the tournament, and after Frazer hit a double bogey on the last hole, Belt’s win was all but sealed. Belt now moves to 15th in the Race To Amendoeira. Highlights from the Jessie May World Snooker Championship at Collingtree Golf Club will air on Sky Sports Golf on Tuesday, September 12. The EuroPro Tour continues with its penultimate event at Moor Allerton in the Clipper Logistics Championship, Wednesday, September 13 – Friday, September 15.